It may have been delayed by two months but wow, was it worth the wait. 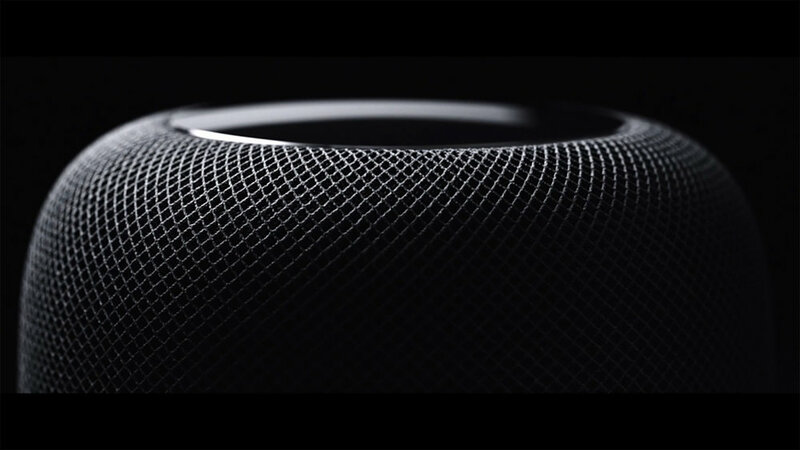 The HomePod is a speaker with a digital assistant. Note: speaker and digital assistant was worded as speaker first and digital assistant second. There has been lot of comparison between the HomePod and Amazon's Echo and Google's Digital assistant. In my opinion comparing the HomePod to Echo or Google Assistant is like comparing Apple's to Orange's (see what I did there...). Google and Amazon have digital assistants that happen to play music. So, what does $350/£319 get you? Mind blowing sound quality, like astounding. Is extremely easy to setup and connect to your iOS device. I purchased the Space Grey HomePod which was delivered on launch day and had it up and running within 5 minutes of opening. It is deceptively heavy, but oozes quality from the feel of the specially designed mesh fabric that covers it to the power cord that connects it to power. The sound comes from 7 tweeters arranged in a circle around the base of the unit and one high-excursion woofer at the top of the unit. The Apple A8 chip provides the power for the software (which is basically a stripped down version of iOS 10.2). HomePod automatically analyses the acoustics, adjusts the sound based on the speaker's location and separates the music into direct and ambient sound, direct sound being directed to the centre of the room while ambient sound is diffused into left and right channels and bounced off the wall. The space between the + & - is also the space for the siri wave, which is activated by saying "Hey Siri". What is most amazing about the Siri function is that you don't need to pause between saying "Hay Siri" and your question. It's that fast. Another impressive feature about the HomePod is that no matter how loud the music is playing it can still hear any commands you ask without the need to raise your voice. It has the ability to do some audio math where it takes away the music it is playing and is left with your voice command. It's impressive and the accuracy is very good. Two of the features that were promised at the announcement are yet to be released; being able to connect to another HomePod to create stereo sound and Airplay 2 which would allow HomePods to connect throughout your house. These features are coming later this year, most likely with the update to iOS 10.3. There has been a lot of talk about these features not being included at launch, but this is Apple, they would rather launch when it is ready than release something that is half baked and requires updates (that doesn't mean they have never got it wrong, but that they never release something they know isn't as good as they can make it). Siri on the HomePod has limited functionality at this point. You cannot add calendar items, but you can set reminders, send and receive text messages and add reminder items. I expect that more functionality will be added to Siri in the future. At this point it will only play Apple Music, iTunes or Beats 1 radio natively, unless you use Airplay from your iOS device. So, if you want a digital assistant I would recommend the Echo or the Google Assistant, however, if you want an amazing speaker to listen to music, then the HomePod is the answer. I am going to link to a couple of reviews that I have read and liked. These are longer, more in depth from highly respected tech journalists and will certainly answer more questions than I do here. So, first impressions after a weekend of using it; I like it. The sound is incredible, if you don't believe me go into an Apple Store and listen to one. I am confident that more functionality will be added to Siri, but then I bought a speaker first and a digital assistant second.